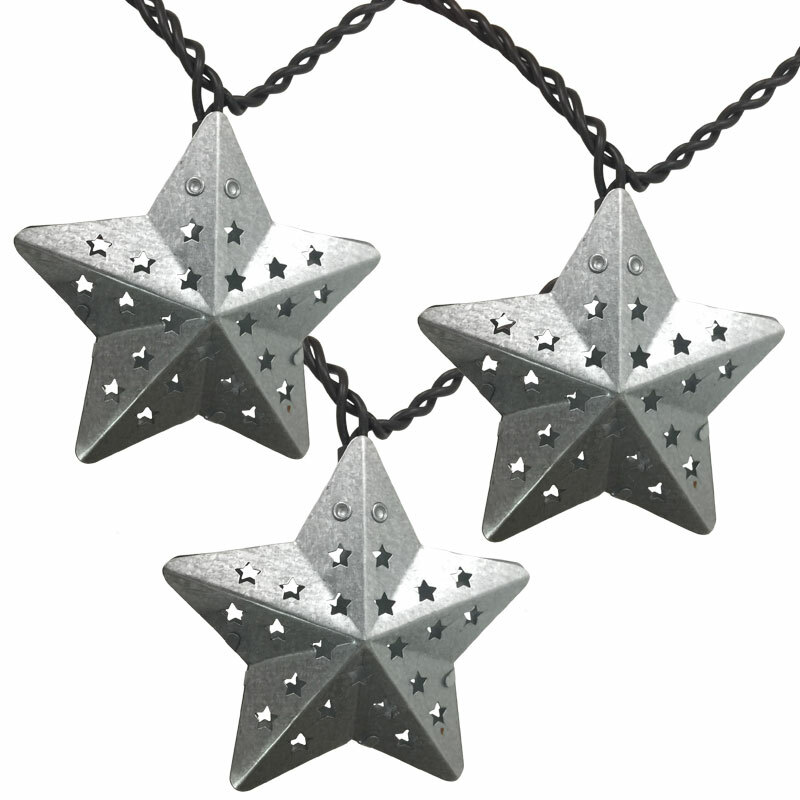 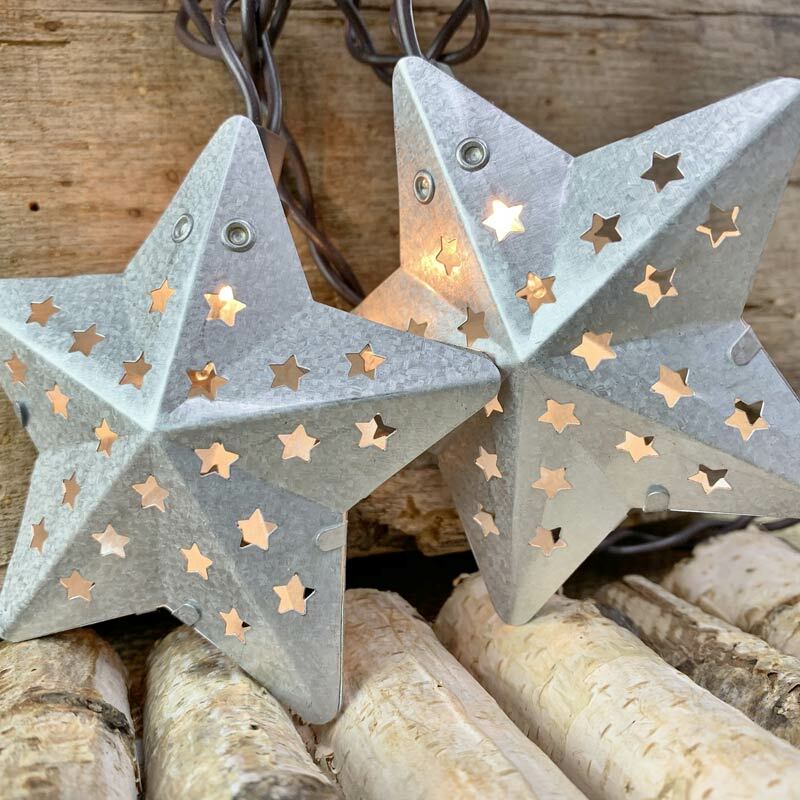 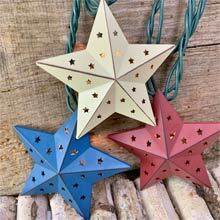 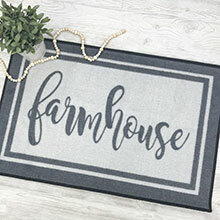 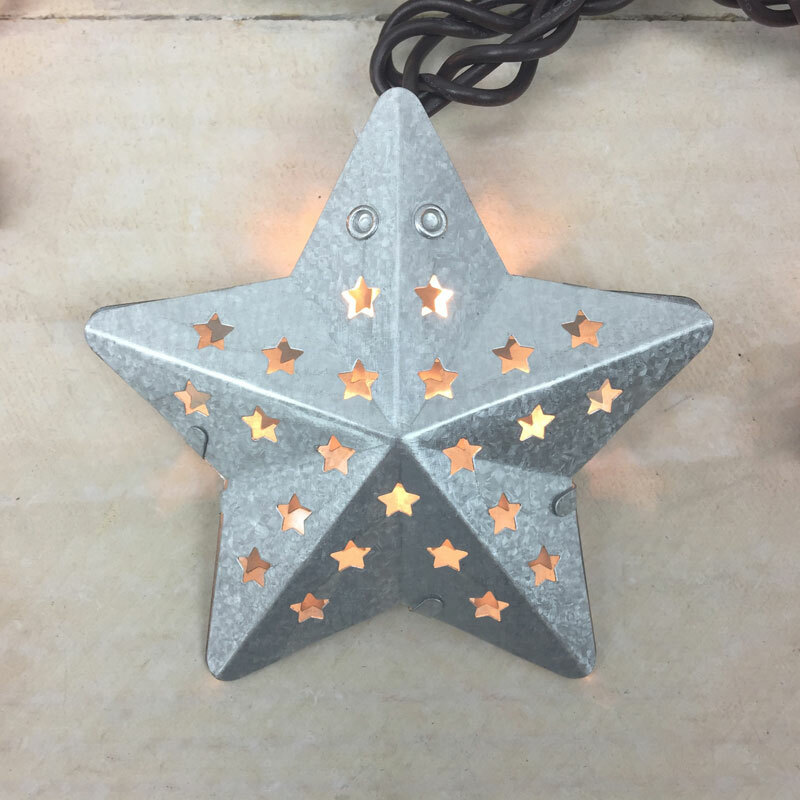 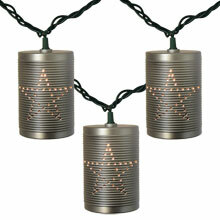 Rustic metal stars will bring an old-fashioned feel to your decorations anywhere in your home. 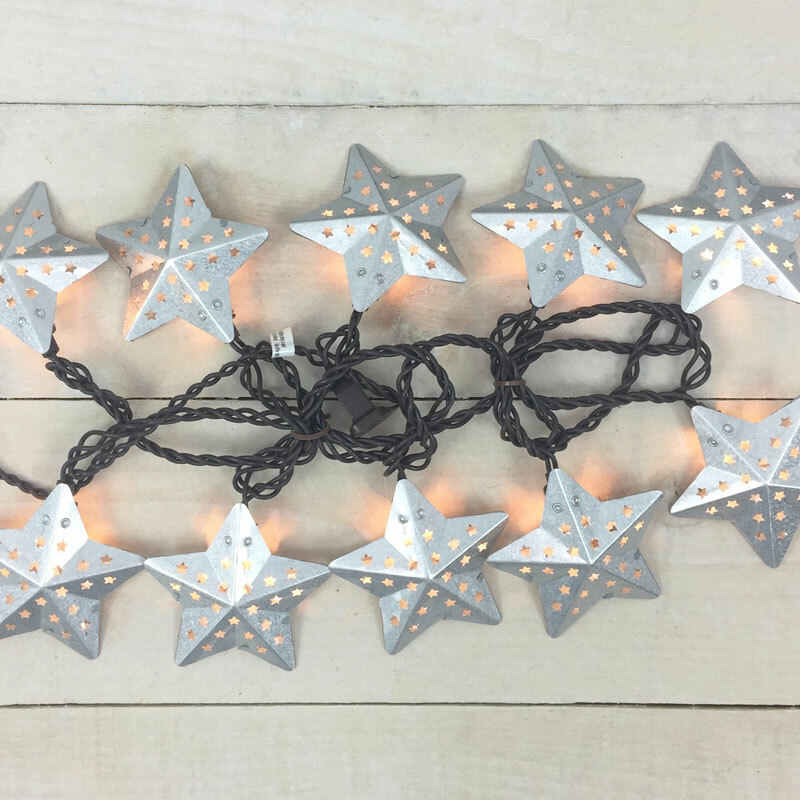 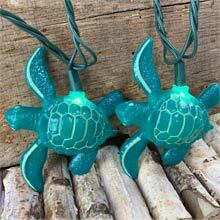 This barn style star string light set comes with 10 clear mini lights and metal stars spread out on an 8.5 foot brown cord. 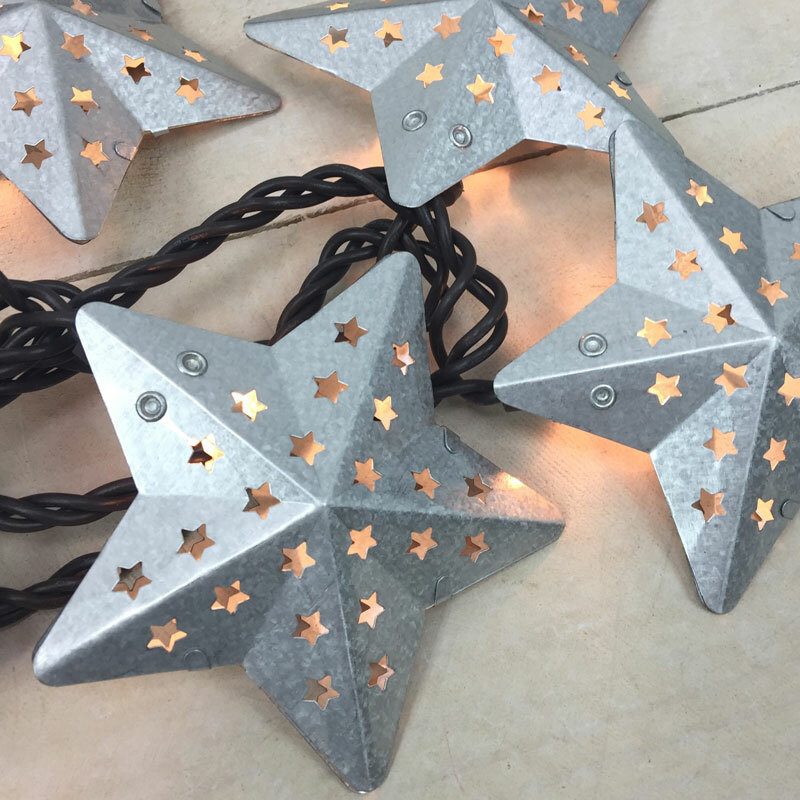 End-to-end connection allows you to connect up to 3 sets of this strand together.